Earlier in my career, I had the opportunity to work with a group of four supervisors at a manufacturing site. I spent a week with each supervisor, with the objective of getting to know each person better. After a month rotating among the supervisors, it was clear that there were stark differences in how each of them related to their respective crews. The contrast in styles was greatest when comparing Mitch with Harold. Mitch considered himself to be “old-school” and was proud of it. He had spent nearly twenty years in various line positions at the plant, eventually working his way into a senior operator role before being promoted to supervisor. He was a no-nonsense guy who ruled with an iron fist and a commanding voice. His philosophy was to set the rules and hold people accountable when they were violated. Mitch believed his primary responsibilities were to “keep the line running” and to “make sure that no one does anything stupid.” During the shift, he could often be found in the supervisor’s office area, unless the line was down for some reason. His crew tended to have the least senior people, mainly because there was a lot of bidding to move to another supervisor’s crew. Harold also spent many years as an operator in the same facility before accepting a supervisor position. He had a calm demeanor and spent most of his time on the floor, listening to his crew members. He frequently answered any questions with a question of his own, “What do you think we should do?” Harold challenged his crew to come up with solutions, not just to identify the problems. I would overhear him privately praising each person, telling them that they were among the best operators he had ever been around. When someone made a mistake, he would make it a point to ask the individual what lesson was learned and what we could do differently the next time. Harold’s crew had the most senior people. It was clear that they respected Harold and valued the opportunity to work on his crew. It is no surprise that there were significant performance differences among the crews. Harold’s crew had superior results in productivity, yield, safety, and absenteeism. In comparison, Mitch’s crew had the lowest output, were more likely to have an injury, and used all of their available “sick days” throughout the year. While there are many aspects of Harold’s leadership that contributed to his crew’s performance, the one that I want to focus on here is setting expectations. Although I had heard about the notion of people living up to expectations, it occurred to me that this was a real-life case study on how expectations can either have a positive influence (à la Harold) or a powerful suppressive effect (à la Mitch). Social psychologists refer to this phenomenon as the Pygmalion effect. The Pygmalion effect occurs when people perform to the level of expectation that is placed upon them. The effect is named after a Greek myth. 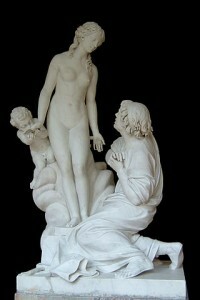 (Pygmalion was a sculptor who fell in love with a statue he had carved. He wished for a bride that was as lovely as his statue – and the ivory girl that he had carved subsequently came to life). In the late 60’s, Rosenthal and Jacobson conducted a landmark experiment published under the title “Pygmalion in the Classroom.” They showed that by raising teachers expectations regarding the academic potential of some randomly designated pupils, those pupils actually learned more than control pupils in the same classes. Since this initial study, the effect has been confirmed in many other settings outside of the classroom. In sports, many athletes and teams attribute their success to high expectations from a coach and/or themselves. In leadership applications, it is a type of self-fulfilling prophecy (SFP) in which raising manager expectations regarding subordinate performance boosts subordinate performance. Managers who are led to expect more of their subordinates lead them to greater achievement. SFP is the process through which the expectation that an event will occur increases its likelihood of occurrence. Expecting something to happen, we act in ways that make it more likely to occur. As a leader, it is easy to forget that most people are willing to step up to a challenge. We just need to set the expectation, provide them with the opportunity, and ask how we can help them to be successful. Eden, Dov. “Leadership and Expectations: Pygmalion Effects and Other Self-Fulfilling Prophecies in Organizations.” Leadership Quarterly, 3(4), 271-305. (1992). JAI Press Inc.
Rosenthal, R., & Jacobson, L. (1968). Pygmalion in the classroom: Teacher expectation and pupils’ intellectual development. New York: Holt, Reinhart & Winston. Rosenthal, Robert; Jacobson, Lenore (1992). Pygmalion in the classroom (Expanded ed.). New York: Irvington.